The secret to a successful promotional strategy is coming up with products that fit a business' audience or "niche." This is exactly what we did for Marketing Solved. 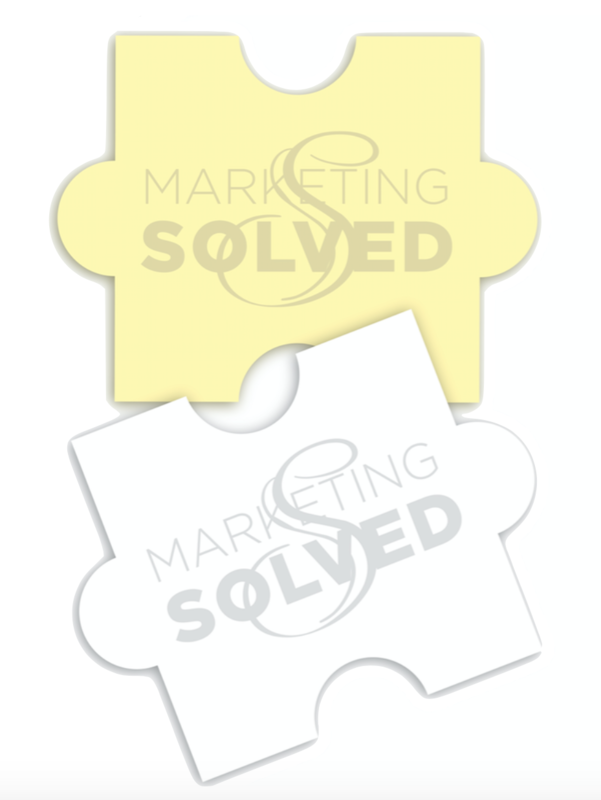 Since Marketing Solved specializes in helping their clients master the "puzzle" of marketing, we created these sticky notes in the shape of puzzles pieces! Our friends at Marketing Solved were very pleased with the outcome. "Phenomenal company to get the best promotional products for your business. We receive compliments daily on our products. Robin ensures you get the best products to represent your brand and takes world class care of you. Can't recommend enough!!"